MWC19 Barcelona is the biggest mobile event across the globe, carrying together the most recent innovations, as well as cutting-edge, technology from over 2,400 pioneering companies, with an extremely good rated conference program assembling the visionaries of today to discover the newest topics persuading the industry. Mobile World Congress is going to feature widespread learning prospects from GSMA seminars, dozens of partner-led programmes, summits, etc. Anything that you want to know about the industry today can be figured out here. With more than 107,000 core decision-makers anticipated to be there, #MWC19 assures to enlarge your professional network to help you to attain your goals. Increase the first-class education via dozens of partner programmes, seminars, conference sessions, and other opportunities guided by the top industry influencers of the present arena. Enjoy a wonderful exhibition representing services and products from well-recognized, global technology organizations. Reach your business objectives with outstanding networking with more than 100 thousands attendees from around 200 countries with about 60 percent senior-level executives. Discover the hottest modernization, including revolutionary notions, new products, and cutting-edge technology. Get to encounter the reach of the broadest industry at a single event that carries the international innovation community to the identical place at a similar time. Going to this event will let you add to the prospect of business messaging. From informing the GSMA standards to designing customer experience, your input will guarantee an open network that works collaboratively to comprehend the worth predictable by the year 2020 of $74 billion. The major part of the lab series is networking and as an alertness lab, the event is going to unlock both non-member and member of the GSMA. The team of GSMA Future Networks is searching the world for case studies with the help of leading innovators. The products, as well as services, will straightforwardly impact the OpEx and CapEx of mobile, lessening the cost strength in the 5G Era. You will witness the best innovators that showcase their notions at the subsequent GSMA Beta Lab, introducing the services that via authentication by our network economics model are going to have a positive impact for the operators. The most successful communications channel of the world, SMS, is being updated internationally to RCS, which stands for Rich Communications Services. By 65 Operator launches, as well as 194 million Monthly Active Users, the operator messaging podium is accessible for tons of brands to improve their consumer communications. You can hear from the core players in the industry, such as technology providers, aggregators, operators, and brands, who will converse the present state RCS’ play and the business messaging market; market potential of this platform, the implausible outcomes of live RCS campaigns; the profitable opportunities and; the planned visualization for RCS, etc. Also Read : Digital Wallets: A New Way to Pay! As the support in devices is growing, along with the introduction of commercial services, the LTE-Broadcast is getting adopted by a huge amount of market. Nevertheless, there is a requirement for robust cooperation and coordination all around the complete ecosystem consisting of mobile operators, device and chipset vendors, content owners, and infrastructure vendors. The GSMA is assembling a limited roundtable throughout MWC Barcelona 2019, in order to talk about the way to go faster the implementation of the improved Multimedia Broadcast & Multicast Service. VR (Virtual Reality) and AR (Augmented Reality) both are groundbreaking technologies which will transform the utilization of content in the enterprise and consumer sectors. With various services going to the Cloud, VR/AR will probably pursue the trend. The technologies need noteworthy data transfer, big storage, huge computing abilities, and low latency, where telecom regulators can perform a significant role through 5G, Edge Computing & the Cloud. 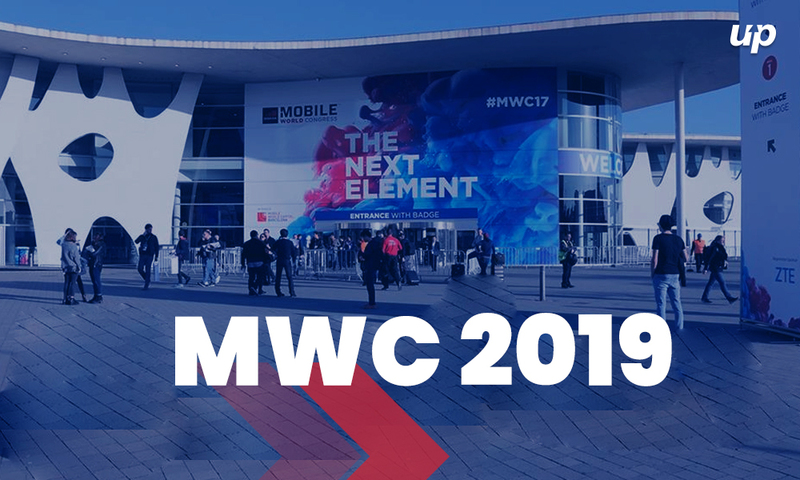 From all the above-mentioned points, it is clear that MWC19 is not only going to impact the app development companies but other industries will also encounter a transformation in their business. It would be not to wrong in saying that the event will open multiple opportunities for enterprises and entrepreneurs. Next articleGoogle’s PNG Security Bug Puts Android Phones at Risk!